The delivery of every product will be done by a transport agency. Mimetikbcn.com sends the products ordered according to the data provided. Mimetikbcn.com is not responsible in case the delivery is not accomplished due to absence of the recipient or any other physical impossibility of delivery. The client will responsible for the costs of the failed delivery and its subsequent return. Every order is properly packaged according to the needs of the products. The delivery period of every product may depend on several factors, such as origin, stock, availability, etc. Once the purchase has been done, Mimetikbcn.com will provide information about the delivery process of the item at all times. Mimetikbcn.com is not responsible if the deadline indicated can’t be met due to reasons unrelated to Mimetikbcn.com. (For example: particularly severe weather conditions, strikes in the transport sector, etc.). In case the item presented signs of damage or opening upon delivery, the recipient should check the package before signing the reception agreement. 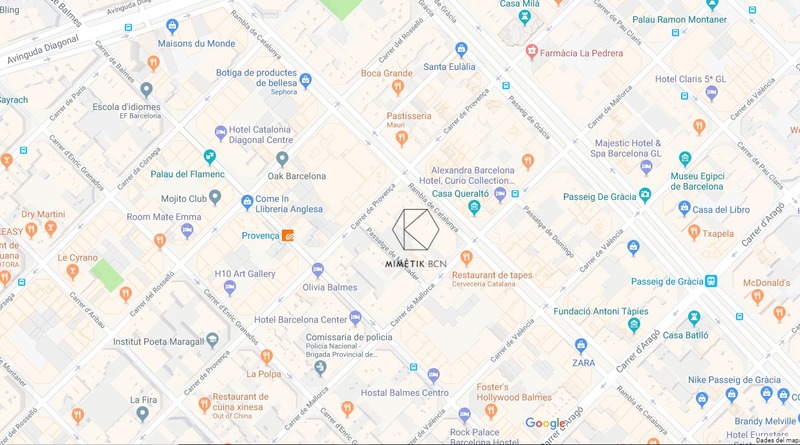 If the order were damaged or incomplete, please request its return by sending an email to orders@mimetikbcn.com and we will send indications on how to proceed. *Standard size dresses “Essential”: Ships within 3 business days. *Made-to-measure items: Ships in approximately 5 weeks. In a hurry? Just add the Rush Order in the checkout and we will have your made-to-measure dress made in only 3 weeks. The standard delivery time for most items* is approximately: 24h within Spain, 2-4 days within the European Union and 3-6 days to North America, Australia and most other destinations worldwide. *Color Samples are shipped by regular postal service with a delivery time up to 3 weeks, depending on the destination. You can add an Express shipping to your order for faster delivery (1-3 days shipping to most destinations worldwide). We will send you a confirmation by email once we have shipped your order. We can unfortunately not take responsibility for unexpected delays caused by customs or postal services. We can not deliver to PO boxes. We always reduce shipping on multiple items, this will be calculated automatically when making your order. Additional taxes and custom fees may be charged for orders outside the EU and the destinations Canary Islands, Ceuta, Melilla and Andorra. These costs are not included in the shipping costs and must be covered by the buyer. In the case the delivery of the package is rejected by the buyer any import/export costs will be deducted from the refund of the order. Although we try our best to maintain 100% accuracy with inventory, there are rare occasions where we experience an inventory error. In the rare case an ordered item is unavailable, we will contact the customer as soon as possible.